Learn what to look for and what to ask to find a modular home manufacturer that can work with you to build the prefabricated home of your dreams. Deciding which modular manufacturer should build your home is as important a decision as choosing where to build your home or picking out the type of modular home you want to live in. Not all modular manufacturers are created equal. Not by a long shot. Some focus on only certain types of homes, while some can build anything under the sun. Some focus mainly on a specific budget range, while some have designs to fit anyone’s budget needs. Some build only in certain parts of the country, while some build nationwide (or even internationally). Some build thousands of homes a year, and some only build a dozen. Picking a manufacturer is not dissimilar to the process by which you should be picking your general contractor. You should narrow down your choices to a few different manufacturers that would fit your needs and then compare them to each other. A beautiful two story home like this one can be created by almost any modular manufacturer, but if you want a modern modular home, you will need to work with a specialty manufacturer. The first and most important consideration when picking a manufacturer should be whether or not they can create the type of home you’re looking for. Most large manufacturers will have at least a few standard modular floor plans for each classic style home. This includes Ranch, Cape Cod, Two Story, Chalet, Colonial, and Mansion homes. 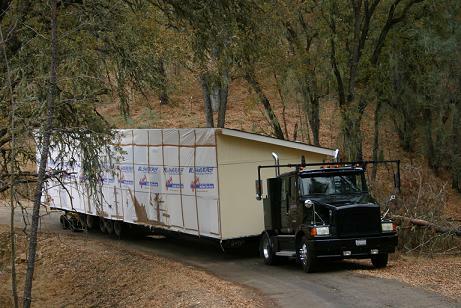 If you’re looking to build a Modern modular home, you’ll have to use a specialty manufacturer. Most standard manufacturers don’t build modern homes, and most manufacturers of modern homes build exclusively modern homes. If you’re interested in modern modular homes, check out our database of modern modular floor plans here. Of consistent popularity in more rural, mountainous regions is the log home. Believe it or not, modular building lends itself very well to the construction of log homes. It even fixes some of the less desirable aspects such as the draftiness that is common in site-built log homes. If you’re interested in log homes, a good way to find manufacturers is to peruse the Chalet section of our database of modular floor plans. If you’re looking to reduce your carbon footprint and cut down on your energy bills, check out the manufacturers of some green modular homes. You’re already making the right choice by building modular since modular construction of any kind is already more environmentally friendly than site-built construction. If building as green as possible is important to you, most manufacturers will be able to add green features to your home, just make sure you tell them what you’re looking for as soon as possible! Green features like solar panels can be added to almost any home, but to get the best results, work with a manufacturer that can build energy efficiency right into your home. The cost to deliver your modular home can get extremely expensive if you live a long distance from the factory where it was made. Another important consideration when deciding on a modular manufacturer is where their factory is located. Some larger manufacturers have as many as eight or nine factories throughout the United States and Canada, but most manufacturers only have one or two at most. Picking a manufacturer with a factory close provides two primary benefits; you can easily go for a tour of their factory to see their building process, and the cost of delivering the modules to your build site will be significantly reduced. Which Brands Does The Manufacturer Partner With? 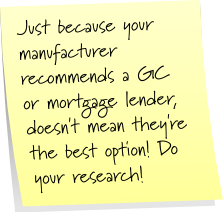 If your manufacturer can’t get you a discount on a specific brand, check with your GC. He may have a similar deal worked out with the brand you want. Most modular manufacturers have at least a few partnerships with different appliance companies. Bath fixtures are provided by one company, windows and doors by another; kitchen appliances come from these guys, insulation from them. Some manufacturers will provide you with the option of using different companies for each appliance, but most have the sort of partnership that means big savings with only one company for each type of appliance. 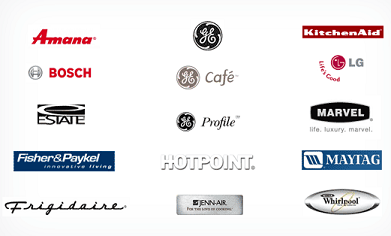 Take a look at the quality of the appliances offered by the manufacturer’s partners. If you want high end appliances, but your manufacturer only works with middle or low-end brands, you’ll probably end up spending more to get the brands you want. The question of how important the size of a modular manufacturer is comes up a lot. 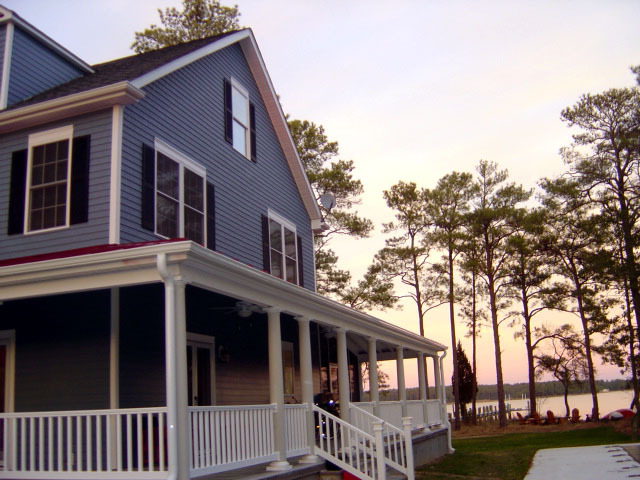 There are two main benefits to working with a larger modular home manufacturer: the reduced cost of common building materials, and the one-stop-shop nature of the purchase. There’s really only one good reason to buy from a smaller manufacturer (other than to promote small businesses); the amount of personal attention and guidance you can get. Just as every modular manufacturer can pay less for building materials than builders of stick-built homes, the economies of scale are further in favor of the largest modular manufacturers. In addition, large manufacturers have the bargaining power to get even bigger discounts from corporate partnerships. If a manufacturer is buying 5,000 kitchen sinks a year, they can get each sink for less than if they only bought 100. A benefit that is often overlooked is that some large manufacturers offer assistance in aspects of home-building that don’t directly have anything to do with the work they’re doing for you. Some have partnerships with banks to help you find a good mortgage, some can recommend builders in your area that can button up your home once it’s been delivered, and some manufacturers will even provide general contracting services directly. Not to say that large modular manufacturers don’t pay close attention to the needs of their clients, but if you buy a home from a smaller manufacturer, your purchase accounts for a much greater percentage of their yearly revenue – so you can be sure they’re going to do their best to make you happy. This may be the only big upside, but don’t underestimate the value of having your opinion matter greatly to your manufacturer. Every modular manufacturer will allow you to make some changes to their standard plans, but not all will help you build a completely custom home. If you want to design your home entirely from scratch, make sure that the manufacturer you’re working with has experience doing that. They should probably have at least one architect on staff that can go over whatever plans you present them and make sure that you’re not asking for anything they’re not capable of providing. Another great way to decide on a manufacturer is to take a tour of their factory floor. You can see the precision with which their homes are made and get a feeling for exactly how the process is done. In a factory, though it’s hard to get a feeling for the actual finished homes that they make. Ask if they have a sample home nearby that you can view. Even better, ask if they have any old customers who would be willing to show you their homes or talk about what the building process was like. The best way to do this is to see both a brand new home and a home that at least 10 years old so you can see how their homes stand the test of time.